Amp Shipping: Who are the best? Confused about impedance and wattage. IOS: AmpliTube vs PositiveGrid vs ??? Jansen 8/40 reverb tank specs? Where do you buy your valves? 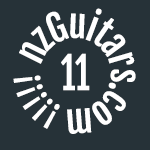 Tube amp techs in Auckland? Can a 'clean platform' amp replace an overdriven amp?